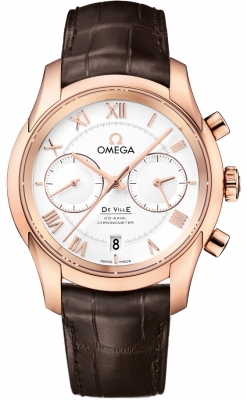 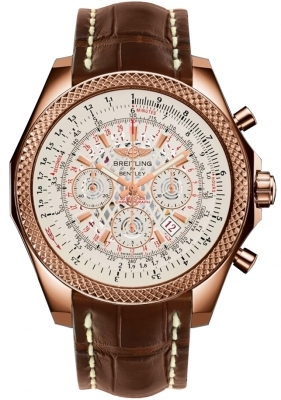 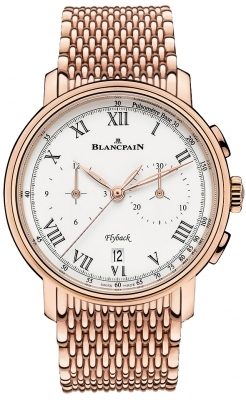 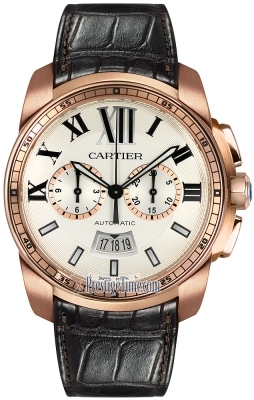 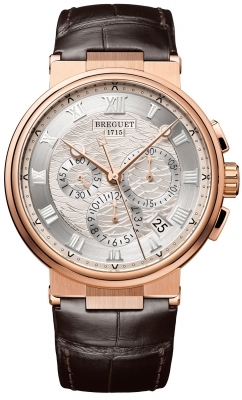 Silver dial with Rose Gold & Luminous Hands, Rose Gold Index/Arabic Numeral hour markers. 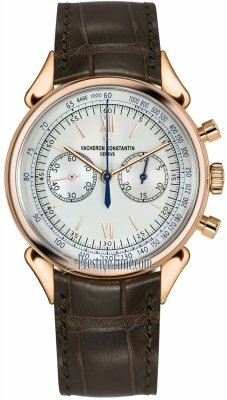 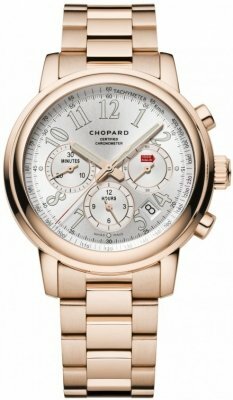 Features a 30 minute stop-watch with a "Flyback" Function which allows instant restarting of the chronograph with a single push of the button instead of the need to stop & then reset the stop-watch. 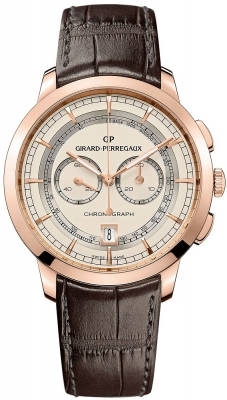 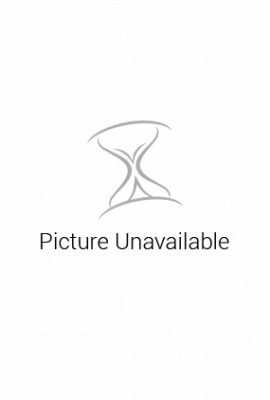 Large 2-disc Date display window located at the 3 o'clock position. 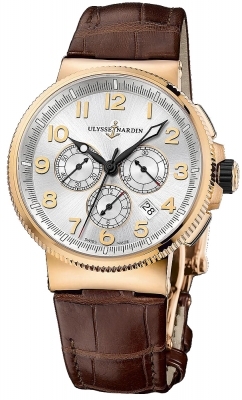 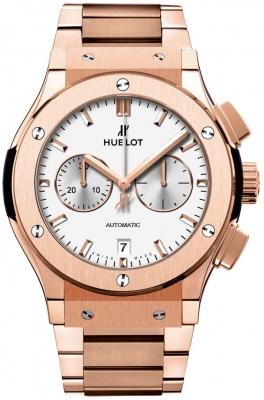 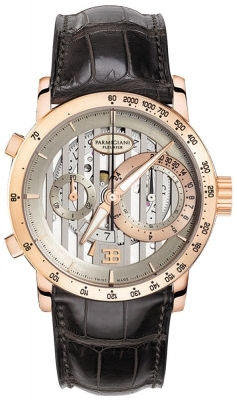 Large raised "stop-seconds" sub-dial, allows to set the watch accurately. 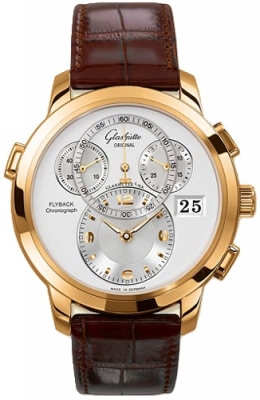 Glashutte Caliber 95 contains 47 jewels, beats at 28,800 vph & has an approximate Power Reserve of 42 hours.